Microsoft revenue climbs by 16 per cent in first quarter of 2018. 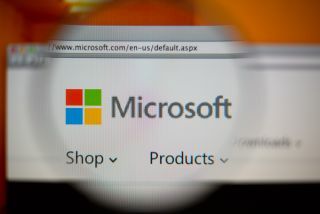 The success of its cloud division this quarter has led Microsoft to beat Wall Street expectations with earnings per share of 95 cents on $26.8bn in revenue. The company's earnings are up by 16 per cent when compared to last year and its net profit for the third quarter of its fiscal year ending in June came in at 7.4bn. The company's Productivity and Business Processes division which includes Office 365 and LinkedIn, saw its revenue rise by 17 per cent over the last year to $9bn. However, its growth was almost flat when compared to last quarter. A 93 per cent increase in Azure cloud revenue helped boost Microsoft's Intelligent Cloud division's revenue by 17 per cent to $7.9bn. The company's More Personal Computing division which is made up of its Windows PC business, Surface line and gaming teams also rose by 13 per cent to end the quarter at $9.9bn in revenue. Microsoft's Surface revenue grew by 32 per cent to $1.1bn while its gaming division saw an 18 per cent increase that accounted for $2.2bn in revenue. Microsoft's decision to go all in on cloud has certainly paid off while its Surface line still continues to attract customers with new models and form factors.